Whether you are wanting assistance with the design of your PROFIBUS and PROFINET networks or need support in resolving a problem with PROFIBUS, PROFINET, CANBus or ASi networks, we can help you. Fieldbus technology, and more recently Ethernet-based communications, are frequently used to facilitate communications between the main components of an automated control system. 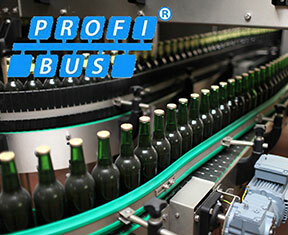 PROFIBUS has been around since the early 90’s and continues to be the dominant fieldbus the UK. 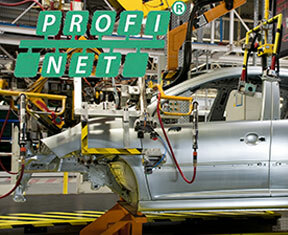 PROFINET, is now appearing in new installations and is fast becoming the industrial Ethernet network of choice for 21st-century automation systems. 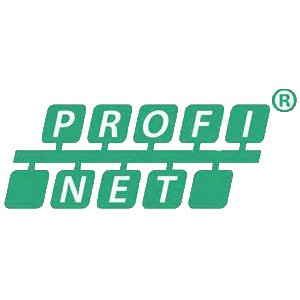 PROFINET is the network of the 21st century and often referred to as the “backbone of IIoT and Industry 4.0”. Very well described in the Indu-Sol “PROFINET the Movie” video at the bottom of this page, PROFINET is an Ethernet-based industrial communications protocol that performs a similar task to PROFIBUS DP but with the added benefit of being able to support multiple protocols such as HTTP, SNMP and OPC in the same cable. 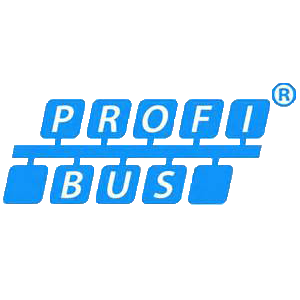 PROFIBUS is a well established network with over 50 million devices having being sold world wide. 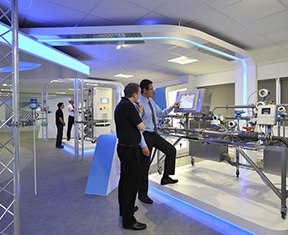 Developed in the late 1980’s and considered a legacy network by some, PROFIBUS continues to play a major part in the UK automation industry. Our engineers have Certified PROFIBUS Installer and Certified PROFIBUS Engineer accreditation as well as the latest tools to assist in identifying and resolving network-related problems. 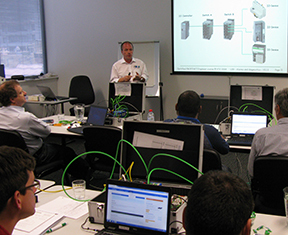 For details about our scheduled and site-based PROFIBUS training courses, please go to the Training Courses page of this site. We can help you with the support of CANBus systems that use the CANOpen or DeviceNet protocols and can also provide site-based training courses. IO-Link takes plant-based communications down to devices that have been excluded from direct network connection in the past. It allows Ethernet-based networks to reach the sensor and actuator level using conventional 3-wire cabling. 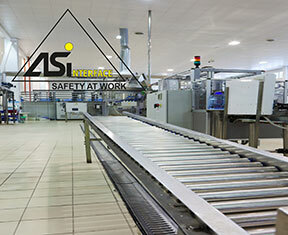 AS-i on the other hand has other benefits and continues to be used in manufacturing industries. As well as having our own Certified PROFIBUS and Certified PROFINET Installers and Engineers, as an authorised solutions partner of Indu-Sol, manufacturers of diagnostic and monitoring tools for industrial networks, we have access to a team of experts in this field. We are active members of the UK PROFIBUS and PROFINET Regional Association and regularly give presentations on their behalf. We also work closely with PROFIBUS and PROFINET International, the vendor-independent organisation responsible for development, certification, marketing and training of the two technologies. Working closely with our partner Verwer Training & Consultancy Ltd * (VTC), we deliver Industrial Network training courses (PROFIBUS , PROFINET , CANBus and AS-i ) and Process Loop optimisation training courses on site or at the Endress+Hauser Application, Training & Engineering Centre in Manchester. The courses are primarily practical, but include the necessary theory to ensure a full understanding of these important topics. Industrial Network Training – The courses cover PROFIBUS , PROFINET , CANBus and AS-i , all of which are practical but include the necessary theory to ensure that the students have a full understanding of the technologies they are working with. PID Loop Tuning – As well as covering loop tuning, the course also covers the most common plant-related issues that can make tuning difficult. For more information on our Training courses, please go to the Training section of the Downloads page. * Verwer Training & Consultancy Ltd (VTC), are a PROFIBUS & PROFINET International Training Centre (PITC) who are accredited to deliver PI-Certified training courses on PROFIBUS and PROFINET.